I had expected that having a child would affect my view of the city and my relationship to it. What I hadn’t expected was how exactly this change would manifest itself. I had hoped I would meet other new moms who were as eager as I to forge a friendship in one of the city’s hip cafés. We’d make walking dates to discover hidden pockets of desirable residential areas, decaf lattes perched atop our babies’ strollers, like some sort of situationist wandering reserved for real estate hungry new mothers. This didn’t happen. Instead, I entered into a different type of relationship: a new relationship with myself, one that was more truth than mirage. I’ve never truly felt comfortable living in Toronto. Community seems to me an elusive concept in such a large metropolis. Having a child was supposed to change that. It seemed obvious; the way to make friends was to: get a dog, buy a house, and have a baby. My husband and I did two of the three. But what I neglected to remember was another triumvirate of important factors: location, location, location. So yes, we bought a house. 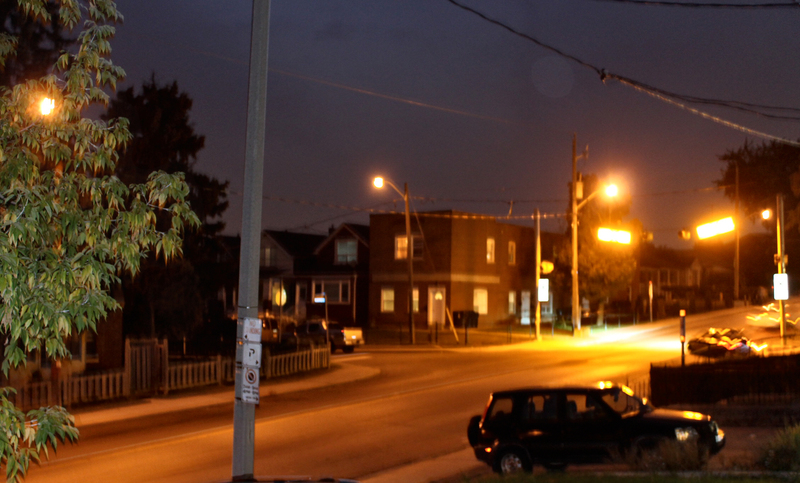 We bought a house in a blue-collar neighbourhood and the reality of blue collar neighbourhoods is that most of the new moms who live there are usually at work. No one has time to forge friendships over lattes and meandering strolls. No problem I thought. I’ll take advantage of the community’s new parent support centres. Surely I’ll meet someone there who is as eager to discuss educational pedagogy and the pitfalls of gentrification as I. Nope. No problem I thought, I’ll wander over to the centres in other neighbourhoods to get my fix of chatting about home renovations. Bingo. And that’s what I did: I traveled to different areas in the city chasing the hope of befriending the types of young professionals I thought I wanted to befriend. It was my darn inexpensive stroller that always gave me away! After a couple of months of this behaviour something strange happened. I began to miss talking about something other than renovations, alternative education, and real estate. I had a strange hankering for my own neighbourhood. A place where no one stops you on the street to ask about your child’s developmental milestones, where if your stroller gets stuck, you’re expected to rescue it on your own, where oftentimes you can’t even carry on a conversation with other new moms because well, they don’t speak the same language as you – literally, not figuratively. Having a child has changed my view of the city and myself. They say Toronto is a city of neighbourhoods. It is also a place of wildly converging realities. I am just now beginning to understand how the two converge. I’ve begun to celebrate the fact that my neighbourhood provides a palpable awareness of differences, be they cultural or socio-economic, and consequently is a wonderful place to raise our daughter. After all, she doesn’t care about gourmet coffee at this age, now does she? 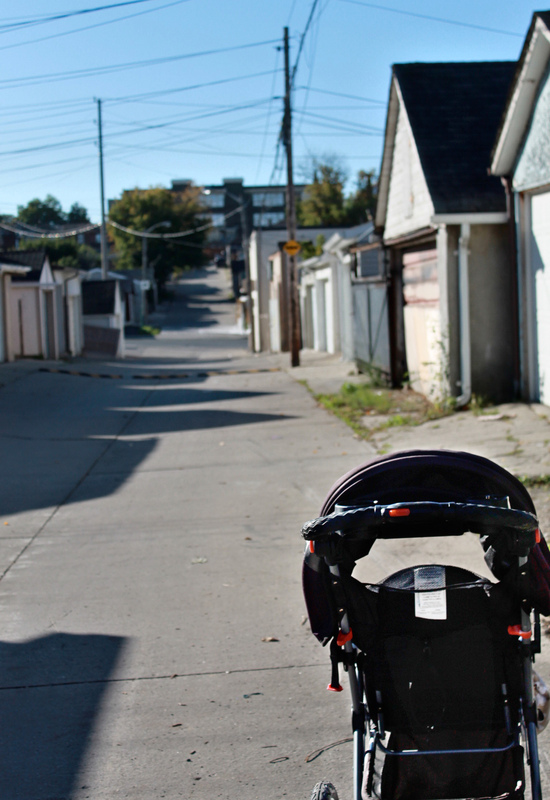 Tags: babies, blue-collar neighbourhood, new mom, real community, real estate, Toronto. Bookmark the permalink.